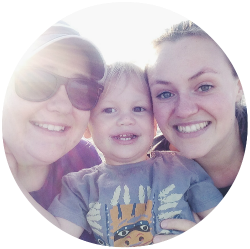 This blog is a personal blog written and edited by Kirsty and Clara We accept products and experiences for review. We always give our honest opinions on, findings, beliefs, or experiences and will highlight good points and bad points we discover with the products. If we claim or appear to be experts on a certain topic or product or service area, we will only endorse products or services that we believe, based on our expertise, are worthy of such endorsement. All product claims, statistics, quotes or other representations about any products reviewed should be verified with the manufacturer or supplier in question. You will also find links to third party websites on this site. We are not responsible for their content or policies so please check with the individual site’s own policy should you have any concerns. For questions about this blog, please contact us at mytwomums (at) yahoo (dot) com. The Views and opinions expressed on this blog are our own unless stated otherwise. Hi there, I tried to reach you via email but I received a mail delivery message. Curve Interactive brings the nation’s best-selling lesbian magazine everywhere you are, spotlighting all that is fresh, funny, exciting, controversial and cutting edge in our community. I’d love to hear your thoughts. Please email me at cmurillo@gummicube.com for more details.